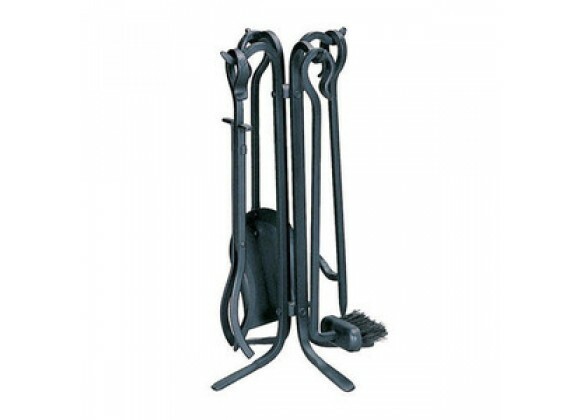 At only 20 inches high, this 5-piece fireplace tool set is perfect for the person with a modest hearth and short on space. The hooked handles and rustic appeal make this a great hearth accessory addition when trying to add some character to your hearth decor. 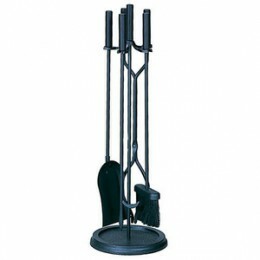 This five-piece set includes brush, poker, tongs, shovel and stand. For the person who has a modest hearth and short on space.